DISCLAIMER: this page is merely here for historical purposes. Contrary to popular belief, Dunc-Bank was never a long-term group initiative. It's actually never been more than this web page, and the bug reports mentioned below were filed within around two days, back in October 2006. The additional people and organisations misrepresented as supporters of the project had nothing to do with Dunc-Bank, had probably never heard of it before and were most certainly acting in good faith. Debian Etch was eventually released on April 8th, 2007. The Dunc-Bank is an experiment to see how aggressive bug reporting can delay the release of Debian Etch. We hope that by finding more and more RC bugs in Debian we can delay Etch. Dunc-Bank stands for “Delay until new critical Bugs are nastily killed”. We think that overall quality is more important than keeping release promises others did for us. We also put “Bank” in the name because we love money. We actually wish we had some money to fund people who report RC bugs. There are currently 63 RC bugs in Etch. We almost released Etch on December 4th, 2006 (lol). Since the Dunc-Bank project started, between 1 and 2 bugs were closed every day. LOL. At the current rate, the zero-bug date will be around July 11, 2007. 18 Oct 2006: when Dunc-Bank started, the RC bug count was around 260; after ten days of existence, it is now around 290. Well done, my minions! 14 Nov 2006: three weeks before the release (LOL) we can now admit that Dunc-Bank has been a pathetic failure. Despite all our efforts, the bug count has dramatically decreased and is currently around 160. This is entirely due to the fact that we did not have any money and had to work hard in order to cover our living expenses as well as cocaine and hookers supplies. 14 Nov 2006: less than twelve hours after the previous message, 40 new RC bugs were opened. Well done, my minions. Cocaine and hookers for everyone! 16 Nov 2006: freeze delay of about one month from the original projection, and a similar delay for the release [...] We hope to still release in December 2006 AHAHAHA Oh wow! 3 Dec 2006: three hours before the release (LOL) we can now admit that Dunc-Bank has been a pathetic failure. Despite all our efforts, the bug count has dramatically decreased and is currently around 20. Haha, just kidding, it’s around 160! Well done, my minions. 18 Dec 2006: apparently the release was delayed because some people who used to do good work reduced their involvement drastically. The Dunc-Bank members, whose involvement in finding RC bugs in Debian and improving the quality of Etch was enormous, feel insulted that their actions are not viewed as a cause for the delay, and really wonder who are those people so important to Debian that their doing nothing can have more impact than Dunc-Bank! 12 Jan 2007: one month after the freeze, one can tell that freezing so early was a friggin good idea: the RC bug count is now a massive 13 fewer than one month ago! Lesson learned: if the bug count does not match the freeze target, why try to change the bug count if you can simply change the freeze target? Well done, my minions. rebuild the archive with DEB_BUILD_OPTIONS set to "noopt", "nostrip" and "noopt nostrip"
The Apache team, for the impressive apache2 packages! The kernel team, for their timely uploads! 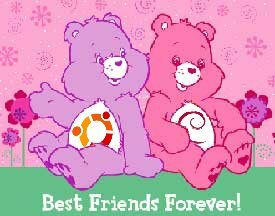 We do not have any sponsors, but we wish to thank the Ubuntu project for not making it too easy to merge bug fixes back into Debian. Keep up the good work! This page is maintained by Sam Hocevar (sam@zoy.org). If you find this page unfunny, please consult your doctor.